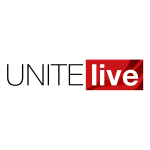 A plan to rescue to beleaguered public sector outsourcing giant Interserve announced by the firm’s bosses today (6 January) is not guaranteed to work, Unite has warned. A plan to rescue beleaguered public sector outsourcing giant Interserve announced by the firm’s bosses today (6 January) is not guaranteed to work, Unite has warned. Speaking after the Parliamentary launch of the union’s Ending Bandit Capitalism: Learning lessons from Carillion’s collapse report – designed to prevent firm’s like Interserve from going under – Unite, which represents 1,700 workers at the firm, said statements about the potential success of the rescue deal are at this point “pure speculation”. Interserve said the plan to reduce its £800m debt pile by creating £480m of new shares to be given to its creditors would provide a “strong future” for the firm, which employs 45,000 people and provides public services including hospital cleaning, school meals and construction projects. Banks that have loaned Interserve money have previously pushed for the firm to sell off its profitable building supplies arm RMDK – a move that was blocked by the Cabinet Office due to the dangers of it precipitating a company meltdown. Instead the new plan will see the banks be given more than a 90 per cent share in the business through the debt for equity exchange, while £350m of debt will also be loaded into RMDK. The plan still has to be agreed by Interserve’s current shareholders, who will lose heavily from the deal, and, Unite understands, Interserve’s individual creditors. Unite assistant general secretary Gail Cartmail said, “It’s pure speculation at this stage whether any plan going forward is viable. It’s not really clear who now is the decision maker. Cartmail said that if the 22 recommendations contained in Unite’s Ending Bandit Capitalism blueprint were taken up by government the taxpayer, workers and members of the public recieving sevices would be protected when firms like Interserve and Carillion run into difficulty.